Learn interview preparation techniques and methods for SSC, Bank, IBPS PO & IBPS Clerk, MBA, SBI, UPSC Civil Services, IAS, LIC, PSC, NDA, CDS and Job interviews. 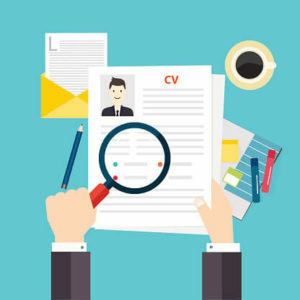 In this article I am going to cover in details about the various aspects of interview preparation. All of us have to face interviews at some point of time in our life. I have seen many students who are very good in studies but they fail to get final selection. The reason is that they do not have the ability to face interviews. Interview is an important personality test and we should prepare very well for it. Do not take your interview preparation for granted. With a little focus and efforts the preparation of interviews can be done. Today I am going to explain you various methods and tips for interview preparation. What is an Interview? Let us begin with a very simple and important question. Before you know how to prepare for an interview it is important you understand about it. Unfortunately most of us are not clear about what exactly an interview is? Most of us have apprehension about it and do not understand the fundamentals of it. If you understand the very purpose of the interview you will be able to face it confidently. Interview is nothing but a general discussion to assess the communication skills of the candidate. During the interview you do not need to do anything extra ordinary. Only thing which is required is to be natural and present your thoughts in a natural manner. But what happens that many of us take lot of pressure and during the interview we do not remain natural. During an interview questions are asked by an interviewer. The interviewee is required to respond to these questions. But still I would like to tell you that the primary objective of interview is not to test your knowledge. The primary objective is to test your communication skills. Interviews usually involve a transfer of information from interviewee to interviewer, which is usually the primary purpose of the interview, although information transfers can happen in both directions simultaneously. What is the significance of an Interview Call? A call for an interview means a lot. There can be various situations. You can be preparing for a competitive exam, you have applied for any job, you are appearing in a walk in interview, you are attending a telephonic or online interview etc. An invitation for an interview is very significant as it indicates that on paper you are the right person required by the organization. Interview call in competitive exams such as Bank PO, Civil Services and PSC etc. is even more significant. Only after a lot of hard work and preparation for months or years you get interview call in such exams. A good interview preparation can give you a dream job. It can give you a lifelong source of regular income through the job. It can change your life entirely. Therefore you should understand the significance of an interview call and do not let go wasted. I will be discussing with you various methods and techniques for interview preparation. But before starting preparation it is vital for you to understand the significance which we have just discussed. In this article I am going to tell you the things which I have learned over the years. I have shared my personal data just to give you an idea. If you look at my career you can see that out of the 20 interviews I have qualified 12 interviews. My Success rate was 60%, which is just about OK. However the important thing is that in the last 10 interviews I could qualify 8 which can be considered as big improvement. Of the last 10 interviews the interviews involved 6 Bank PO interviews, 1 Civil Service Interview, and 3 interviews in leading MBA institutes of the country (I persuaded MBA after joining the job). All these were big and important interviews and I could qualify most of them except civil service and one in an MBA institute. The point which I want to emphasis here is that if you can prepare methodically your success rate will also improve. In the last 10 interviews I was more confident and better prepared. No doubt I missed the two, but I was very close in both of them too. So today I will discuss with you that how I did my interview preparation and how all of you can do it in a similar way. Today I will tell you my methods of interview preparation. These methods may be a little bit different from what experts tell. But these methods are highly effective and are useful for common students and job seekers like me and you. Prepare Questions on your Bio Data: In any interview the base is your bio data. More than 50% questions are likely to be asked from your bio data only. Therefore the first step which I would like to tell you is to prepare questions on your detailed bio data. When you get an interview call it means that you have already submitted your bio data. For preparation of interview take that bio data again and review it. Prepare a list of questions which can be asked from your bio data. Prepare as many questions as possible. For this purpose you can take help of your friends or family members also. What your father do and his job profile? Tell me something about your family background? Tell me something about your native place and for what it is famous? Why is there a gap in your studies? What does your mother do or whether she is a house wife or in a job? Why don’t you join your family business? There is a gap in between Graduation and Post Graduation, why? Why is there a great variation in marks between class 10th, 12th and Graduation? These are the example questions. Based on your bio data prepare an exhaustive list of questions from bio data. Think from every angle what questions anybody can ask from your bio data. Give a good time to prepare the list. Prepare structured answer for all questions: Once you have prepared such list of questions the next step is to prepare detailed structured answers for each of the question. Maintain a diary or a register and start writing structured answer of each question. Take your time and prepare good answer of each question. You can also discuss with your friends. You can take help from books and also from various websites on writing better replies. 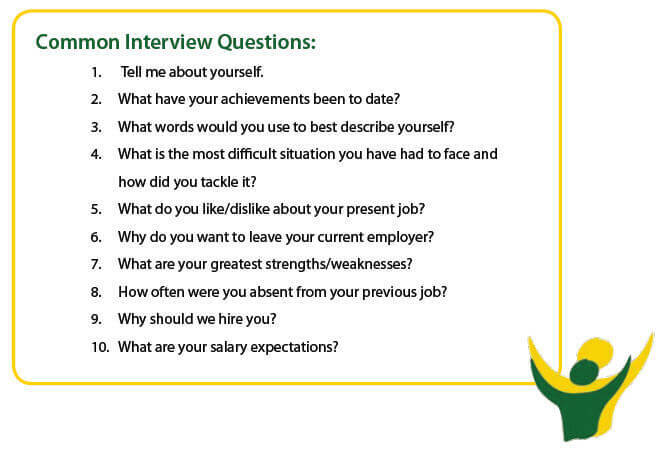 Think about each question from interviewer perceptive and prepare your replies. Since you have sufficient time and there is no pressure on you therefore you can prepare good replies. Prepare Questions related to your job: Now you have prepared such list of questions and answers on your bio data. Next step is to prepare a few more questions. If you are applying for any job you must have a good idea about the organization. If you are appearing in any entrance exam you should have good idea about the institute. Similarly if you are appearing in interview of any competitive exam, you must have idea about the organization, your subjects, job profile, current affairs etc. So you have to see that in what kind of interview you are going to appear. Prepare a list of questions accordingly. Once your list is prepared again prepare structured and detailed answer of each question. Start Practice on your own: Now you have a good stuff with you which can help you in practice for interview preparation. Before starting your practice go through the each question and answer 2-3 times. Also read it loud in front of mirror. Once you start practice of reading it loud in front of mirror your confidence will improve. Reading it loud also helps in developing your fluency and pronunciation. A good eye contact with your self will improve your self belief and confidence. You should do this kind of practice for a few days. Your objective should be to prepare all the structured replies. With this kind of practice within a week you will be able to prepare answer of all likely questions. Reading practice and practice in front of mirror will develop your fluency. I would like to tell you should also practice on your pitch of voice. One good way is to record your voice in a mobile phone and try to improve. Listen to your recordings again and again and try to improve your voice. When I was a student I use to use a lot my mobile phone for such purposes. You can also record you mock interviews and practice sessions in your mobile. Later on you can review it and work on weak areas. Practice with your Friends and Family: You can also take the help of your near and dear ones. Give the entire set of questions to them and ask them to take your mock interview. Ask them to ask as many questions they can from the questions set you have given them. Also ask for any new question which is coming in their mind. Friends, interview is nothing but an interaction. Your objective should be to improve your interaction skills as much as you can. The more you communicate and discuss with others the more you will improve. So do not be shy of interacting and practicing with others. It will remove your hesitation and you will be at ease at the time of interview. Also design 10-15 minutes of mock interviews from the set of questions which you have prepared. 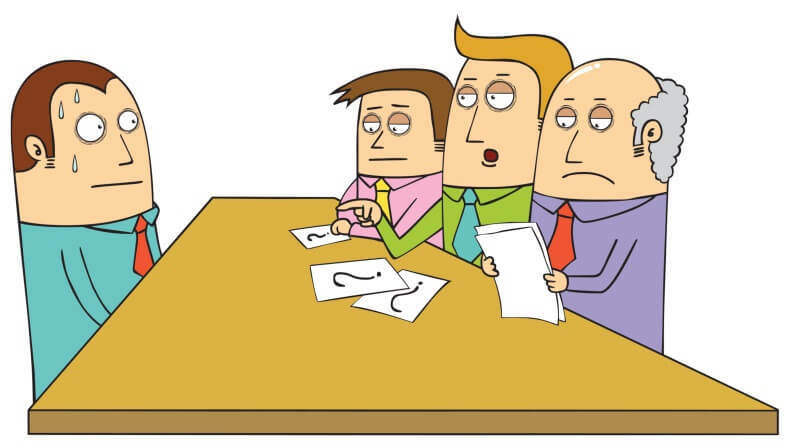 Mock interviews are dummy interviews for practice purpose. One person can become interviewer and the other interviewee. It can also be other way around. Practice like this and note down your weaknesses. Work on your weaknesses and remove them. My suggestion is that even if you have any interview call with you or not, you should still practice. The reason is that such practice will improve your communication skills as well as English Speaking ability. This will help you in many ways. Such practice will always keep you ready for any interview which may come any time. Plan your interview dress well in advance: You should keep a good set of formal clothes for your interview. It is very important to dress well for an interview. Apart from good communication skills appearance is equally important. Normally interview is a 10-15 minutes affair. During this period you should present you in best possible manner. Therefore dress very well for your interview. Male candidates should always put a tie during interview. Put sober formal clothes for your interview. Things to remember on Interview day: Do not take any pressure as you are already well prepared. Even if you could not prepare due to some reasons, you should still remain confident. The confidence is the key for success in any interview. So do not take any stress. Reach the venue at least 45 minutes before. Interact with other candidates available there. Such interaction will remove your anxiety and you will feel good. If you are feeling nervous take a few deep breaths. It will help you to overcome it. Your body language should be good and positive. Have a smile on your face and talk confidently with others. Maintain a good eye contact with other and shake hands wherever appropriate. Do not compare yourself with others. Just have faith in your abilities and remain very positive and focused. Keep one thing in mind that at the interview venue nobody is bothered about your success or failure. So there is nothing to be fear about anybody. You should remain very polite and humble and should not speak loudly. You should speak very softly and clearly. Now I would like to give you a few tips which you should follow during the actual interview. Enter the room after knocking the door lightly. Then take the permission for getting inside the room. Greet the interviewer or the interview board with a smile. Do not sit until they asked you to do so. Speak very politely and pay full attention towards them. If you do not know any answer do not bluff them, rather tell them that you are not aware about the answer. Even if you are not aware of many answers do not lose your composure. Keep your cool and reply in the best possible manner. After the interview is over, thanks them and come out of the room. I am sure if you do your interview preparation in such a manner, success will be yours. Its truly inspiring . Thank you for sharing your valuable experience with us . This is going to help many banking aspirants like me . It will be a great help if you would share some of your successful interview’s questions and answers also . At least patterns of your answers .